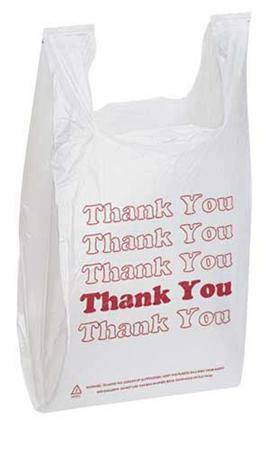 We offer our clients a wide range of Plastic Printed Carry Bags that are fabricated using premium grade raw material. Owing to their high strength, these printed bags are suitable to carry various types items such as sweet, fruit vegetable and different type of product. Our range of bags are available in different sizes and colors. In addition, we can also print these bags as per the specifications of the clients. Established in the year 2003, Sona Flex Industries are able to manufacture and export good quality range of Vegetable and Fruit Mesh Leno Bags, Mono filaments Bags, Leno Bags, HM-HDPE/LD, LLDPE T-Shirt & Vest Type Carry Bags that includes polyethylene bags, printed plastic bags, HDPE/IDPE Printed D-Cut Bags, Industrial Multicolor Bag, Multicolored Bottom/side seal bag, Carry Bag, Plastic Carry Bags, Plastic Carry Bag, Printed Carry Bags, Plastic Shopping Bag, Plastic Shopping Bags, Monofilament Bag, Mesh Potato Bags, Side Seal Bag, Multicolored Bottom Bags. Our spectrum comprises Printed D-Cut Bag, Industrial Multicolor Bag, T-Shirt Type Printed Carry Bag, HDPE/PP Laminated Woven Bags and Plastic Bags ,shade nets, green net, agro shade net, insect net, anti insect net, anti hail net, monofilament shade net, scaffolding net, olive net, biomesh net. Owing to their features, these find application in grocery market, fruit /vegetable market, garment, cement, grain, food and cosmetics industries.